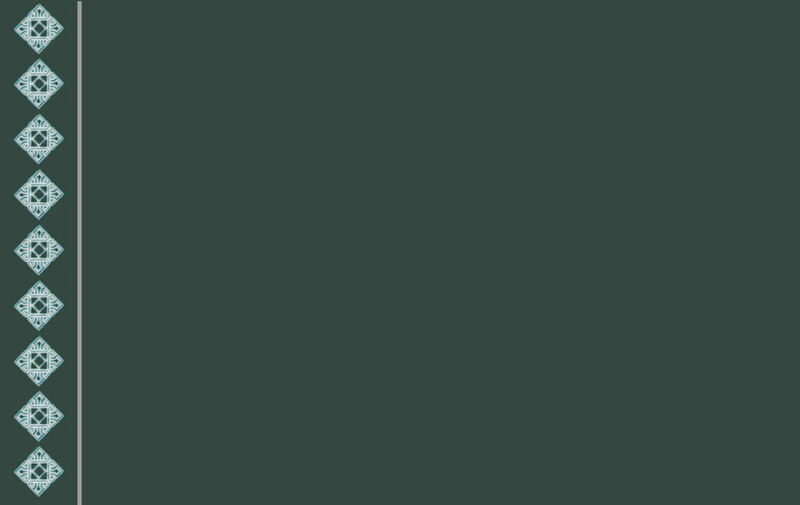 Welcome to RockLake...we are happy to share our Wolfhounds with you and look forward to answering any questions you may have. Irish Wolfhounds were originally developed before the 4th century AD, evidenced by information from early Rome. Early Celtic literature tells of Celtic heroes and their wolfhounds, who were used to hunt wolf and elk Unfortunately the breed became almost extinct in Ireland and Europe in the mid 19th century but Captain George A. Graham, a Scottish dog breeder, is credited with taking interest in the breed and keeping the breed alive. 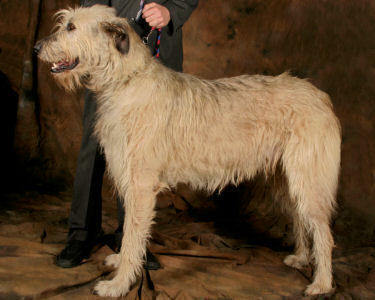 The Wolfhound is the tallest of the hound breeds and is still used for hunting large animals such as the Timber Wolf. Irish Wolfhounds are best known as a wonderful companion because of their loyalty, intelligence and fearlessness as a watchdog. Irish Wolfhounds are between 28 to 37 inches at the shoulder and weigh up to approximately 135 pounds. The wolfhound "look" is enhanced by a long head with a long muzzle, small ears and dark eyes. Wolfhounds possess a very deep chest and muscular shoulders and their coat is a rough, hard coat, especially wiry over the eyes and under their jaw. The tail is long and slightly curved. 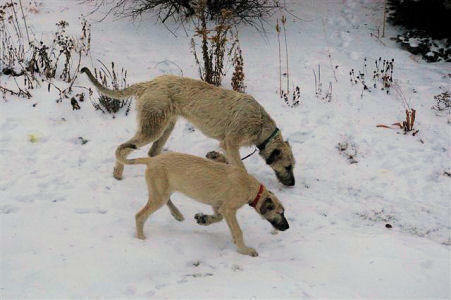 Accepted colours are gray, brindle, fawn, red, black, pure white or any other colour that appears in the Deerhound breed. Click here for photos of our Lady & Pascal pups! Copyrightï¿½ 2007~2013. All information, pictures & graphics contained on this website belong to Len Icke & cannot be reproduced without written consent. All Rights Reserved.